Donate now to support women in the developing world. Every donation supports our mission of inspiring women around the world by promoting wellness, education, and economic opportunities. Help us reach our goal of $50,000. The first $20,000 will be matched. You’re saving lives. In some of the areas that SowHope serves, 1 out of every 50 mothers dies during childbirth. Through the construction of new birthing centers, SowHope works to provide safe access to maternal healthcare. The US maternal mortality rate is 1 out of every 7,143. You’re changing lives. Women make up two-thirds of the illiterate population in the world. SowHope has provided almost 10,000 women with literacy classes that teach women to read, write, and do math – opening the door to business, public influence, personal growth, and freedom. You’re empowering women. Eighty percent of the world’s farmers are women. If women had the same access to resources as men, they could lift 100-150 million people out of hunger. Through microfinance, SowHope is empowering women farmers to have long-lasting and positive community impact. Did you know you can invest in future generations of women through a legacy gift? By designating SowHope in your will or estate plan, you are making a lasting impact on the lives of women for many years to come. Contact SowHope at 616.433.1575 to discuss giving options. Make an impact through a gift of stock or a charitable donation from your IRA. Contact SowHope at 616.433.1575 for more details on how you can give. How you are impacting women. Meet Catherine and her daughter Grace. Catherine has been practicing Midwifery for 50 years in Uganda. Not one mother or child has died under her care! Upon completion of the birthing center SowHope funded, Catherine was disallowed by the government to run it despite her experience. 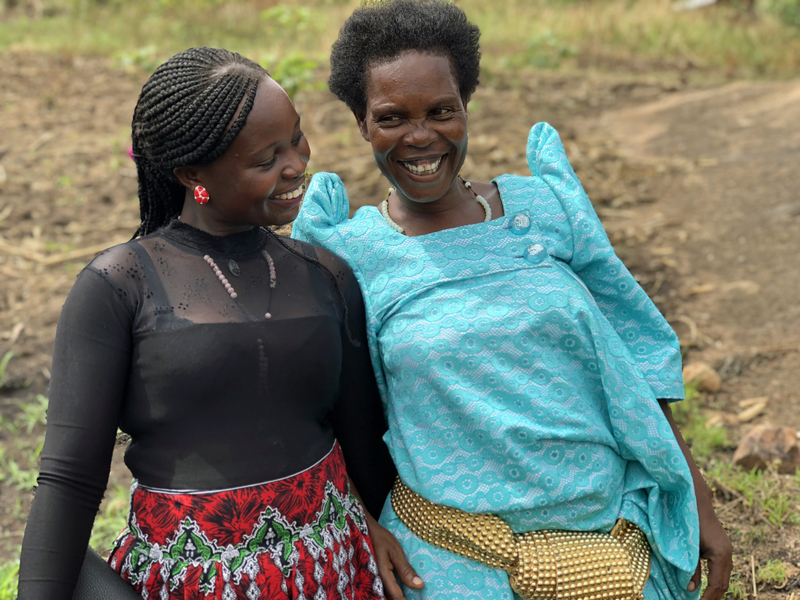 Grace, knowing the work put in by her mom and her community, decided to go through nursing school so that she could run the clinic. Now both of them are all smiles as the birthing center was recently opened to the public. Over 50 babies were born within the first month! The strength of these women and the passion to serve their community is inspiring to us and many members of their community. Online bill pay, ACH payment, planned giving, and more. Buy a SowHope t-shirt on Amazon! SowHope is a 501(c)3 charitable organization. Each donation to SowHope is tax-deductible to the extent allowed under applicable law, and represents a contribution to its entire mission, which is to inspire women around the world by promoting wellness, education, and economic opportunities.